The La Palina brand began in the ultra-premium market, showcasing refined and elegant releases that honored the accomplished ancestry of brand owner Bill Paley; with acclaimed releases such as La Palina Goldie and La Palina Family Series. La Palina has since expanded, offering a cigar blend for every palate and from nearly every cigar growing region on the map… except one. No, the answer is not Cuba, that’s not possible (yet). For La Palina’s latest offering, the brand finally makes the trek to the bold heart of Nicaragua, teaming with industry legend A.J. Fernandez and his factory in Estelí. La Palina set out to deliver something new for its fans, and boy have they delivered! Long-filler tobaccos of the raw and untamed Nicaraguan soils encompass the cigar’s binder and filler - finished with a savory, Ecuadorian Oscuro wrapper leaf. The resulting profile is bold and spicy, with an underlying complexity - offering notes of espresso, black pepper, dark chocolate, and raw vanilla. La Palina’s expansion to Nicaragua was well worth the wait. And to commemorate the new experience, the cigars take on a whole new look. 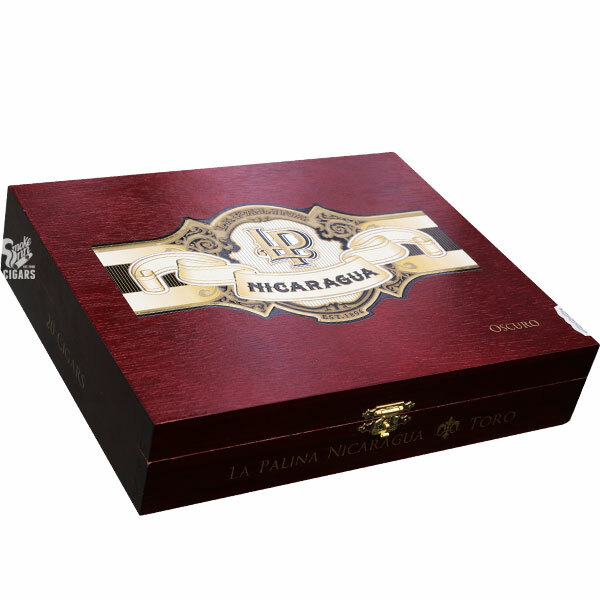 Check out the brand’s new logo and redesigned packaging with La Palina Nicaragua! Spirit of Cuba Churchill Corojo Bundle - 20ct.